ADHD is the the most commonly diagnosed psychiatric disorder in children. 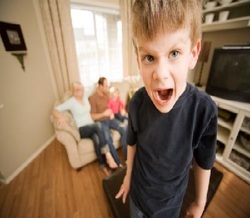 ADHD is characterized by attention problems, hyperactivity and impulsivity. For these problems to be diagnosed they must be out of the normal range for a child's age and development. ADHD rates are growing at 3 to 4 percent a year, which is about 4 times the population growth. Why is ADHD growing so rapidly? There are many theories surrounding this question but every year a new one seems to be proven wrong. Many doctors believe that it's the increased awareness, but if this was the case we should have seen a plateau years ago. A study was done a few years ago within an ADHD clinic in Oregon and the results showed that 70 percent of ADHD patients had been misdiagnosed. Also, a study done at Michigan state showed that nearly one million children in the United States had been misdiagnosed. Putting children on these medications for no reason could affect their development.The medications used for ADHD are known as stimulants and some doctors believe they are much too powerful for children, especially children who don't need them. Also statistics show that there are more children taking medication than the percent of people who actually have ADHD. However there are no physical tests, such as a blood test, which makes an accurate diagnosis very difficult. ADHD is a very controversial topic among doctors, parents, teachers and children. What's To Blame For the Rise in ADHD? Below is a chart of every type of medication used to treat ADHD. Shows the side effects and precautions of each, as well as the pros and cons. The video explains that one million children within the US have been misdiagnosed with ADHD. Children who are young for their grade and show immaturity are being diagnosed left and right. We are over medicating and the side affects to the medications are very serious. 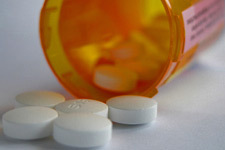 Ritalin Use continues to rise in the US at a rapid rate. A significant number of children are being Diagnosed with ADHD each year and prescribed stimulant drugs.